Home General News Are the new formats taking the game in the right direction? Are the new formats taking the game in the right direction? The landscape of tournament golf keeps changing. The sense of continually needing to introduce new formats on the European Tour is a sign of the times, the desire to grab attention, immediate attention. But what is the ultimate destination? We’re just off the back of the season’s first departure from conventional 72-hole strokeplay with Kiradech Aphibarnrat showing his matchplay prowess once more by winning the ISPS Handa World Super 6 Perth at the weekend. The Australian stop-off is one of a handful of events on the European Tour this season with a variation that typically merges strokeplay with some kind of matchplay format. The marketing and PR will tell us that these innovations are to create more drama and tension and to attract a new, younger audience to the game. But is there a danger of making the top table of professional golf in these parts too much of a gimmick? Depending on your take, the current European Tour boss, Keith Pelley, might well be the ringmaster to a global circus that’s not quite sure where the next high-rolling gigs will come from, especially if constantly having to look over its shoulder across the Atlantic. Or perhaps the dapper Canadian is way ahead of the curve with innovative approaches to tournament golf and in time he will be recognised for his pioneering ways? One of the issues for tournament golf is the technologically-driven immediacy of the world we now live in. The comparatively pedestrian pace of four days of tournament golf doesn’t lend itself well to the platforms in which we consume our sport, not just golf. The tour’s 90-second snapshot of a round or a tournament on social media goes some way to satisfying the demands of golf fans rather than wall-to-wall coverage for four days. Sure, the back nine on a Sunday still has the ability to grab attention. Rory McIlroy duelling with China’s Li Haotong in Dubai recently or Tommy Fleetwood racing to victory in Abu Dhabi the week before offered genuine excitement, but they are small pockets of time in a week of tournament golf. This scribe is closely involved with the Northern Ireland Open at Galgorm Castle and last year the Challenge Tour event opted for a Shootout Sunday format. Through Modest! Golf and the pied piper appeal of Niall Horan’s involvement, a new, younger audience was clear to see with over 43,000 in attendance for the week. By Sunday afternoon. when the six-hole strokeplay matches were coming to a conclusion, the grandstands were full around the 18th and there was a genuine buzz to the place. However, taking an objective view, the trade-off with less players in the knockout format simply meant less live action to watch compared to a regular 72-hole strokeplay tournament. It was an opportunity to try something new at Galgorm and Modest! 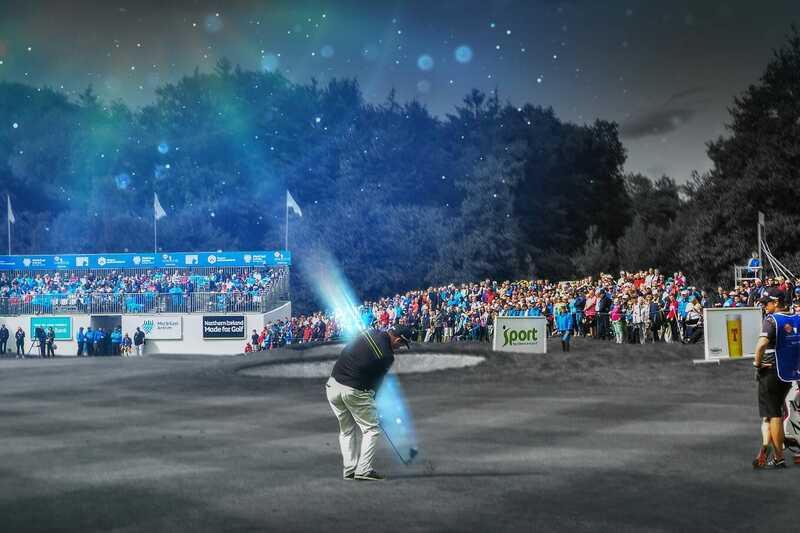 Golf and the NI Open organisers have returned to the 72-hole strokeplay format for 2018. It’s not to say the European Tour is struggling for relevance, but it may be searching for a new identity. I’m not convinced format variations are the solution. If the corporate, TV rights and sponsorship shortfalls could be taken into account, then a reduction of holes and tournament days could be a much better option.